← TRYPTAMINES & NONDUALITY: An Entheological Guide to the Nature of Being. COLD EMPATHY & WARM EMPATHY, THE DIFFERENCE! Jaden: Dreaming the Universe Awake. THIS ARTICLE IS IN PROGRESS! When the ‘Heart Chakra- Holy Grail – Seat of the Soul’ is agitated and anxious, people loose touch with the infinite unity consciousness meridians within and without. 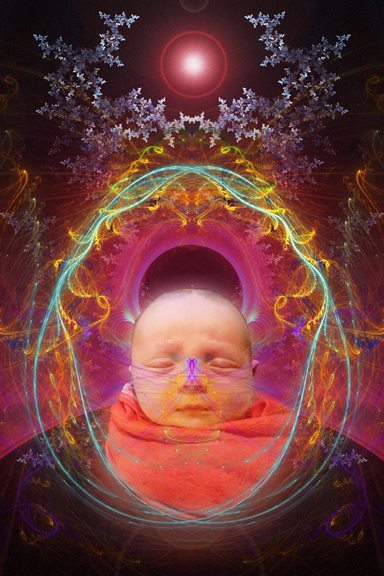 Their innate access to the field of morphogenesis in the energy centers within the psychosomatic body as a vehicle for the ‘POINT ZERO FIELD’ ( holographic fractal harmonic light waves in flux and flow) is diminished. This core disassociation breeds the sense of dissatisfaction, that creates, the urge and the impulse within that leads to direct attention outward to become something to be enough. From my observation we are collectively suffering from the decease of disconnection: An emotional schismatic disconnection where we are no longer able to feel deeply for ourselves in the other! When natural sensory processing and connection is restored it is perceived as strange or magical. When ‘Emotional Schismatic Disconnection’ occur individual and collective numbness and fixation of being separate ensues, as the Holy Grail ‘The Heart’, and connected circuitry of individual and collective meridians progressively shut down. This decease is now apparent all around, and most noticeable and prevalent in our institutions of government, industry, law, and education. Sadly our spiritual institutions are not exempt. An endless empty hole our institutions and their executive governance have become. These institutions demand our obedience and attention, and they inflate their authority to procure their perceived entitlement, specialness and collective respect and adoration. These ‘institutions of strategic industry’ and their governance cause so much harm to our self in the other. In psychotherapy there are several distinct diagnosis for this malady that is now upon us, and if you think and feel yourself exempt from this decease, you have rendered yourself incapacitated for constructive connections, collaboration and community. You are delusional if you assume you can now escape your own self and collective predicament. THE CHARMS AND AMBITION OF ‘COLD EMPATHY. Our culture has become a natural breeding ground for ‘cold empathy’ and the below pathologies. In individuals ‘cold empathy ‘ is best demonstrated through the visible disconnection in sensitive intuitives, and they are more and more common; such as psychopathy, border-liner, and narcissism disorders. These disorders have ‘mapped out moods and emotion for effect,’ and have no or minimal ability for empathic emotional arousal, resonance and recognition! In ‘cold empathy’ people become instruments for self ‘fixation’ and gratification, their ideas of altruism included. Anyone or anything in their path, simply becomes, a means to satisfy their end objective. Cold empathy ’individuals and institutions’ are actually more equipped for survival, today, than ’individuals and institutions’ that models and acts from innate warm empathy. When all of life is fully received in the vehicle of psychosomatic connections, a life in tenderness, kindness and compassion for all forms ensues, as life has finally been able to receive all of itself in form, and is no longer abdicating any feedback in preference for any mental or emotional map. It simply knows itself as One Being in infinite forms. ‘Warm empathy’ have an ability to have immediate access to the meridians, in flux & flow, in the zero point field (connecting to perceived other), nonetheless; often the ‘the thinking and feeling’ mind will rationalize the immediate instant feedback away, and make justification for ‘lack of action’ for other. We have now created a culture where we distrust innate ‘warm empathy’ and it has become culturally acceptable to divert to ‘cold empathy,’ i.e; I will assess and qualify your apparent and immediate need, as I have to qualify and justify if I am actually doing the right thing, through a process of in-tuned & attuned assessment. This is a process that necessitates an intimate and responsive attunement that we are not even mature enough to due for ourselves, yet we assume we are perfectly equipped to do it for others! To become to alive to all the psychosomatic vehicle has to offer, we must attune to what constitute natural rest, and notice the movement in the body mind vehicle that contracts and create stories about self and others, as this is an abdication of immediate responsiveness to life, an emotional Houdini to maintain a fixated self (ego-id) in the illusion of separation and blame. TO DIVIDE & CONQUER UNITY CONSCIOUSNESS ‘ TO FRACTURE AND DISCONNECT’ ONE BEING INTO INFINITE FORMS. Already in 540BCE Heraclitus of Ephesus saw the destructive path and outcome of what happens when ONE BEING FORGETS AS IT IS FRACTURED INTO DISASSOCIATION. (He referred to ONE BEING as LOGOS IN PAN REHI (FLOW)) . The Logos Heraclitus refers to is rarely recognized and realized. When this Logos is fully integrated nothing is rejected! All is received! Logos is seen everywhere! All previous mental maps of reality are dropped as they are seen as an incomplete reflection of the animating principle that is pervading all. Logos to Heraclitus was Wholos; One Unity in flow! As most education is focused on rational development, and not holistic development, sensory sensations become secondary, and over time, these sensory uptake diminishes. The mind becomes equipped to make the most incredulous justification for actions. Without proper natural rest and nurturing the sensory epic center of the heart becomes numbed out. Gallery | This entry was posted in Cold empathy, Heart Centered Awareness, Uncategorized, warm empathy and tagged freedom, habits, Illusion, Inspiration, mind and emotion, truth realization.. Bookmark the permalink.